American dairy farmers are struggling. At this point, this should be news to no one. It is mentioned on every news station from NPR to Fox. But nobody is doing a very good job of explaining why they are struggling or what could in fact be done about it. There’s a lot of things going on in this crazy world – climate change, investigations, trade wars, actual wars… soccer practice, family dinners, work, vacation planning – there isn’t enough time in the day to keep up with everything. And as someone who grew up on a dairy farm, gets my primary income from a dairy farm, has a family that depends on this dairy farm, I eat, sleep, breathe, and live (and die) dairy. I don’t expect anyone to care about this as much as I do. But if you do want to learn about what is going on down the street at your neighborhood dairy farm, and in the dairy industry, in what is deemed THE DAIRY CRISIS OF 2018, I’ve pulled out the big points – and also a few things you can do to help. Dairy farmers are not paid enough to cover their costs. The milk price has stagnated making it difficult for small farms (like most New England dairies) to stay in business. The most efficient way for a dairy farmer to make more money is to make more milk – which floods the market and creates too much supply. 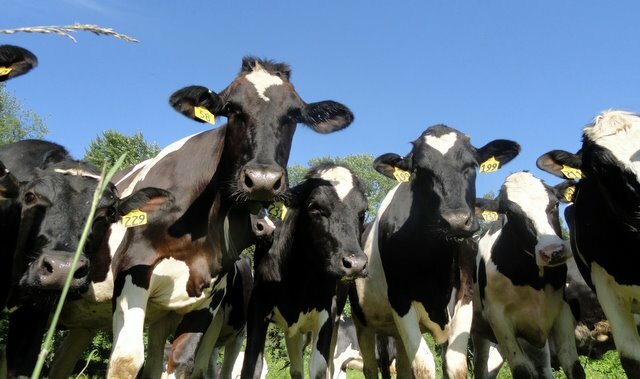 The Massachusetts Dairy Farmer Tax Credit Program and the Dairy Margin Protection Program are some of the only reasons that 134 MA dairy farms are still in business, but these solutions don’t go far enough to stem the loss. Canada’s Milk Supply Management System stabilizes prices for Canadian dairy farmers by limiting imports into Canada and by powdering excess milk to export from their home markets to keep a supply-demand balance. Americans and others are crying that the practice is unfair in global trade markets and harmful international dairy farmers. The United States implemented tariffs on aluminum and steel causing Mexico and China to place retaliatory tariffs on many things including cheese and whey. Losing international markets for dairy products further exacerbates the issue of over supply in American markets. The Trump administration has promised $12 billion in a government assistance aiming to make up a shortfall as farmers lose sales abroad from the trade war. Many New England farmers believe that stopping the trade war would probably be a better option. Scroll down for 6 reasons why you should care and 9 ways you can help! Also, sign up for the Barstow’s eNewsletter here! The simple answer is that dairy farmers are not paid enough to cover their costs. That sounds pretty crazy, how could a business be operating at a loss and still keep plugging away? Unlike other businesses where you can shut the lights off and tell your employees to take a few months off while you gather yourself, we are dealing with hundreds of lives everyday – animals that need food, water, shelter, comfort, and care. 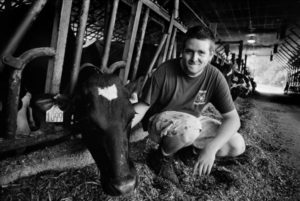 Dairy farmers love what they do, working with large animals, being outdoors, working with their hands. It is more than a job, it is a way of life. Most dairy farms have been in a farmer’s family for generations. Dairy farmers regard their operation as more than a business, it’s a legacy, a tribute to the generations that came before them, and a future for the generations to come. It’s hard to be the person to turn the lights out on that. 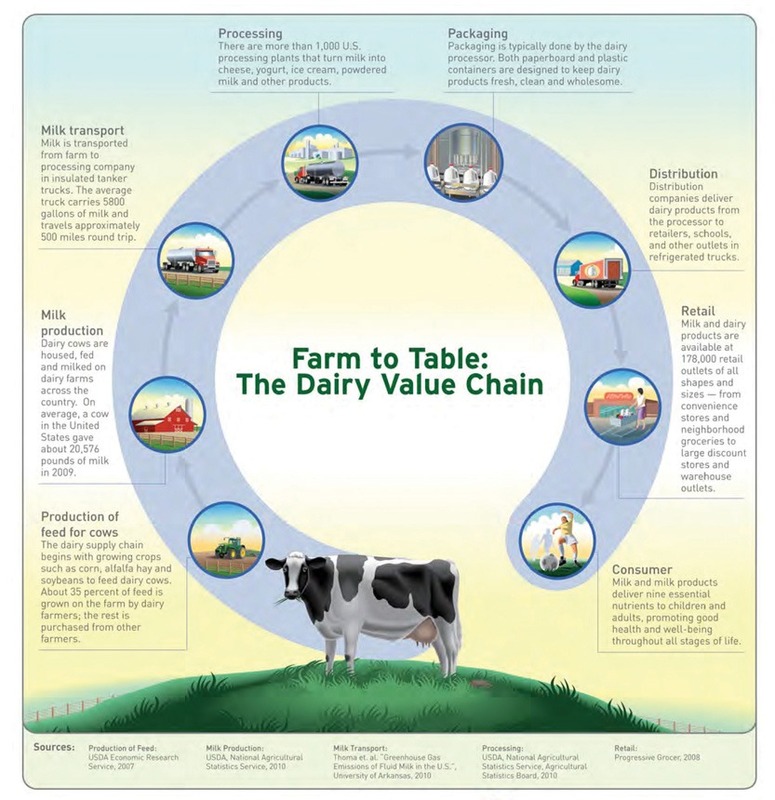 Because milk is super perishable and because dairies had their fair share of mistakes in the 1800s, the last century of dairy production have created an incredibly efficient, clean, and safe supply chain for milk. There are only a handful of dairy farms that have opted to navigate the regulatory and financial hurdles to process their own milk and dairy products directly to consumers. Most dairy farms, like Barstow’s Longview Farm, sell their milk through a wholesale system. Massachusetts dairies produced 24.5 million gallons of milk in 2017, and that volume flows to regional processing facilities and regional markets with minimal waste. Wholesaling milk frees farmers from having to process and market that milk individually, and ensures a steady, locally produced supply for consumers. But while the wholesale system is efficient, the pricing is not at all. And some federal and state price support programs. In recent years, wholesale prices for dairy have stagnated, creating a devastating gap between the cost of milk production and the amount farmers are getting paid for their milk. The consequences of this have been severe, especially in Massachusetts where costs are higher than they are elsewhere in the county. Here are some things that cost dairy farmers (or anyone really) more than it used to: feed, labor, farm equipment, fuel, land, taxes…. Many dairy farmers in New England have diversified their businesses in one way or another. They have a farmstand, they process their own milk, mix their own ice cream, do weddings, offer hayrides, etc. etc. etc. However, most of a farmer’s paycheck continues to come from wholesale milk sales. Here at Barstow’s, wholesale milk accounts for 85% of our income. Often in the wintertime when business is slow at Barstow’s Dairy Store and Bakery, the farm must financially support the store. Farmers who sell their milk wholesale receive a check based on volume and quality of the milk. We are incentived to produce better milk, milk that contains more butterfat and protein. This can be achieved by providing better care for our animals, keeping them clean, getting them the nutrition they need, offering them freedom in their day, maintaining a comfortable climate and shelter, monitoring their health, etc. Weather, season, customer service, offerings, time of day, quality, price, all of these factors impact our business at Barstow’s Dairy Store and Bakery. With milk quality and volume really in our control up on the farm, and just sheer economies of scale, the most efficient way for us to make more money is to make more milk. Basic supply and demand economics 101 shows us that the quantity consumers want to consume is much less than what farmers are producing. The farmers are trying to produce more milk, which they hope to sell to increase profits, but those consuming the milk will find the product less attractive and purchase less because the price is too high – or because there’s an alternative option. Milk used to be the only option for milk. But thanks to great marketing, demands for plant-based products, and an increase of dairy allergies, milk is now competing with soy milk, almond milk, coconut milk, rice milk, and a number of dairy alternative “milks”. Mom’s, traditionally the gatekeepers to the dinner table, are introducing these alternatives to their children, and kids tend to stick with it as they age into their own households. Additionally, people are drinking less milk period. According to the U. S. Department of Agriculture, the average person drinks 18 gallons a year. Back in the 1970s it was more like 30 gallons a year. Concerns about animal welfare and environmental stewardship set the dairy industry back. And while any farmer knows that a herd with good nutrition and care will be healthy, cost him less in veterinary bills, and net him a better quality milk, and more of it – it is rare that the farmer is actually asked. Dairy farmers who have been stewards of this nation’s land for generations are typically not the ones you can count on for great PR quotes seeing as most of their day is spend consulting with animals instead of consumers. I could go on providing examples (and just plain old logic) of how and why farmers are environmentally conscious and provide great care to their animals but that might need to be another very long blog post…. The Massachusetts and federal governments have implemented some stopgap programs. The Massachusetts Dairy Farmer Tax Credit Program is intended to offset downturns in milk prices paid to dairy farmers. When the cost of milk price drops below a price based on federal standards, a dairy farmer may be eligible for the tax credit against: 1) The Massachusetts personal income tax or 2) The corporate excise tax. The credit amount is based on the amount of milk the farm produces and sells anytime during the tax year. The Margin Protection Program for Dairy is a voluntary risk management program for dairy farmers authorized by the 2014 Farm Bill through Dec. 31, 2018. It offers protection to dairy producers when the difference between the all milk price and the average feed cost (the margin) falls below a certain dollar amount selected by the farmer. The Dairy Farmer Tax Credit Program and the Dairy Margin Protection Program are pretty much the only reasons that some Massachusetts dairy farms are still in business, but these solutions don’t go far enough to stem the loss. And while we are working 16 hour days in all seasons and prices, we don’t want to rely on a government program – we simply want a market for our milk. What does Canada have to do with anything? The dairy industry looks very different in Canada, which has implemented a supply management system that is designed to guarantee a fair and sustainable price to dairy farmers. Under the system, the Canadian government limits how much milk Canadian farmers can produce, requiring them to purchase a production “quota.” Simultaneously, the government limits how much foreign milk and dairy products come into the country, slapping excess imports with tariffs. By controlling the milk supply, the Canadian government can guarantee dairy farmers good margins and unusually stable markets. That has made the system enormously popular among Canadian farmers, who argue supply management is no different from the agricultural subsidies and price supports used by other governments. Americans (and most notably Donald Trump in Wisconsin that one time) say Canada has abused the supply management system to flood the world market with cheap milk powders. Canada is undercutting the US, while they’re the highest-cost producers in the world. Americans and others are calling for a dismantling of supply management for fairer trade. This skirmish has led to dairy tariffs on both sides of the border and for many many Wisconsin dairy farms to go out of business. On June 1, 2018, the United States imposed a 25% tariff on imports of steel, and a 10% tariff on aluminum, on the European Union, Canada, and Mexico. The tariffs naturally angered trading partners, who implemented retaliatory tariffs on U.S. goods. China accused the U.S. of starting a trade war and on July 6, 2018 implemented tariffs equivalent to the $34 billion tariff imposed on it by the United States. Mexico and China have decided to target up to $986 million worth of American dairy exports with tariffs as retaliation for the Trump administration’s protectionist moves. Mexico is increasing its duty on cheese, while China is hitting cheese and whey. 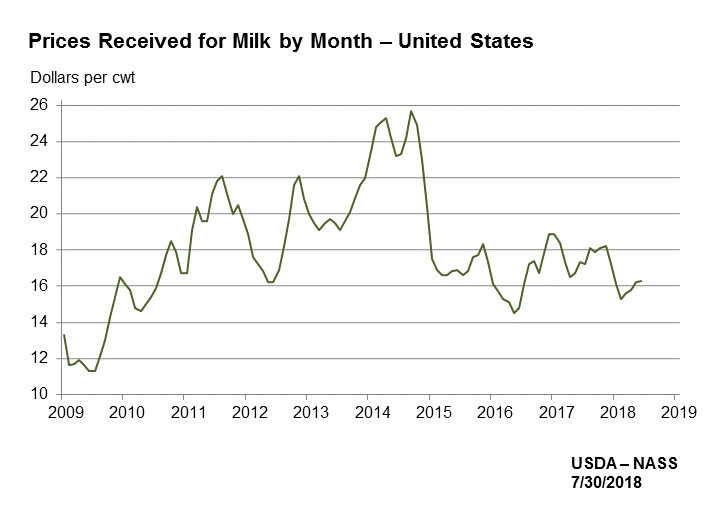 With their growing middle-class populations, both countries have become important markets in recent years for the struggling U.S. dairy industry. In July 2018 the Trump administration announced it would use a Great Depression-era program, the Commodity Credit Corporation, to pay farmers up to $12 billion. This government assistance program aims to make up a shortfall as farmers lose sales abroad due to the trade war. No one is sure how the direct payment program will work. But some analysts say this program could actually be bearish long term—keeping some farms in business that might have exited and help already profitable farms expand. Much will depend on how much money is distributed, how it’s distributed (will every farm get the same amount or will payments be made on production history?) and how long will payments be made. Farmers in New England are fairly doubtful that this bailout will actually help in the end – a walkback of the trade war and an opening up of markets seems like a waaay better solution. 1. Dairy farms provide local food. And while the small New England dairy farm can’t feed everyone in the world, a healthy network of local farms can feed everyone in New England. Massachusetts dairy farms produce 23% of the milk consumed in MA. And of course, keeping food local reduces transportation costs and emissions. 1. 2. Dairy farms are environmentally conscious. Because the land is our livelihood, and because better crops yield better milk, dairy farmers practice sustainable farming tactics to preserve the quality of soil, reduce erosion, mitigate runoff, and protect the greater ecosystem where we raise our herd and grow our crops. 65% of Massachusetts dairy farmers (like the Barstow’s!) produce renewable energy on their farm. 3. Dairy farms steward our landscape. The average Massachusetts dairy farm has 114 cows and 343 acres of land. 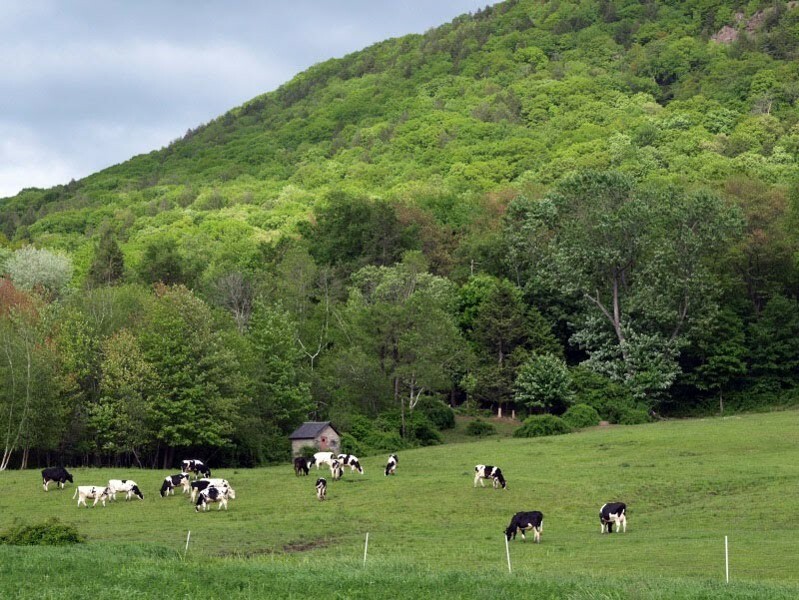 MA dairy farmers collectively keep 50,367 acres of land farmed, open, and green which is excellent for wildlife, ground water protection, property values, and community well-being. In the Pioneer Valley alone, dairy farms steward 18% of agricultural land despite the fact they make up less than 2% of the farm businesses. 4. Massachusetts dairy farms have been in the same family on average for three generations and some over 13 generations! Dairy farming is a way of life closely connected with the land and our heritage. 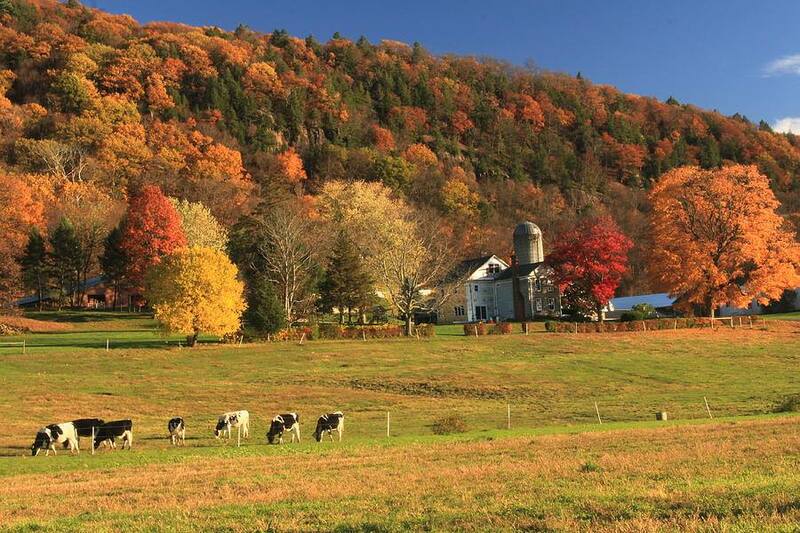 Preservation of dairy farms sustains the history and landscape of New England agriculture. Nearly all dairy farmers are enrolled in programs to keep their farm land in agriculture (like the APR program), apply practices to maintain rural farming heritage, and apply practices to promote good relationships with their neighbors. The Boston Globe reported earlier this year that New England has lost more than 10,000 dairy farms in the last 50 years, and that two-thirds of Massachusetts dairy farms have been shuttered since 1997. Today, August 1, 2018, there are 134 dairy farms left in the state. 5. Dairy farms contribute to the economy. In 2012, Massachusetts dairy farms generated $44.3 million in sales and the MA dairy processing industry creates an estimated $500 million in sales using milk from this state alone. Massachusetts dairy farms add $150 million into the state’s economy by buying their supplies locally. Each cow in the Commonwealth generates an estimated $26,600 in economic activity! A great reason to keep the dairy economy MOOving! 6. Massachusetts dairy farmers are rooted in their communities and have been for generations. 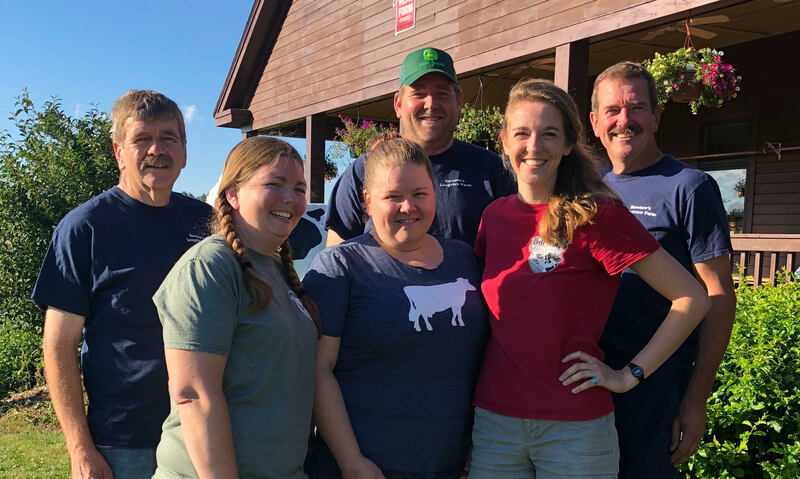 Many farmers are involved in local politics, churches, in their public schools, are on their volunteer fire departments, and honor the stories and traditions of their hometowns. With many more people being transplanted in the world, it is nice to have some long-time locals contributing to the New England culture we cherish. 1. Purchase milk from grocery stores that purchase locally. This is actually a lot more simple than you think! You will find locally sourced milk on the shelves at stores like Big Y, Stop and Shop, Whole Foods, and other small regional chains and shops. Because so many farms sell their milk wholesale, and because our regional supply chain is so efficient, the store-brand milk will likely come from a New England family dairy farm. Sometimes milk from Walmart, ALDI, and Trader Joe’s is local… but usually it is not. 2. Check the plant number. Cabot is a brand well known in New England – and for a good reason! Cabot is a cooperative owned by the family farmers that provide them with the milk to create their award winning cheese and dairy products. All 950 of the farmer owners own and operate their often multi-generational dairy farms. When you buy Cabot you support New England and New York farmers but also green space, sustainable practices, animal welfare, and your local economy. Cabot is a success story of what a regional business can offer their customers and farmers in a globalized world. 4. Educate yourself on dairy alternatives. Did you know there are 9 essential nutrients that naturally occur in milk? For almond milk, soy milk, and other dairy alternatives, those nutrients are processed in. Of course dairy alternatives are a terrific solution to those with lactose intolerance or sensitivities which is certainly a good thing! Learn the differences between dairy alternatives and milk here! Plus, as already mentioned, dairy is local – milk will not travel as far, requires less processing time, and supports local farmers – compare that to almond milk which will always come from California or from overseas. 5. Visit your local dairy farm! Nearly every dairy in New England has diversified in order to survive! Visit your neighborhood dairy farm to purchase the products that they make there. If they don’t do their own processing (most don’t), enjoy lunch, ice cream, or other products sold there. Engage in the farm tours, educational programs, art classes, special events, haunted hayrides, or other offerings that the farm to help support a local family business. 6. Dairy or not, support other local farms. Farmers are still operating on a very localized economy. Barn equipment, lumber, mechanic services, veterinary services, feed, and much more are sourced locally, keeping dollars in the Pioneer Valley. In addition to business on the farm, a retail farmstand purchases produce, grocery, crafts, and goods from nearby farms. The farming community is helping each other stay afloat, you can help too! from establishing “right to farm” communities to pushing for a more localized system of price supports, these can help our dairy farms stay afloat. With November elections approaching, ask candidates for public office what action they plan to take to support local dairy farms and encourage them to take this issue seriously. Much to the anguish of livestock farmers, there is tons of misinformation on the internet. Anti-agriculture organizations have lots of time to spend making sure their negative dairy post is the first thing to show up on Google search – and plenty of money to spend on anti-ag advertising in your Facebook feed. The farmers are busy, well, farming, making food, and caring for our herd. For a customer to feel good about feeding our products to their family is a number one priority for all dairy farmers. Give us a call, shoot us an email, schedule a farm tour, we’ll get you the answers. Let your friends know why you drink milk, bring Cabot cheese to your next family gathering, share this post. Need some more ideas on how to get the word out? Contact us! Much of the content from this post is pulled from knowledgeable authors at CISA, Skimmed Milk, Farm Journal’s MILK, and CNN. I hope you can forgive me for copying and paraphrasing your words so that I could get all of this information in one place for readers. It felt like August 2018 called for a sum-up and I didn’t want to reinvent the wheel. Thanks for taking the time to write about and care about what is happening in the dairy industry – the press is so important to how we view the world and the actions we take! Analysis | President Trump said Canada mistreats U.S. farmers. This is what he meant. Tariff Bailout for Farmers-or for Trump? Whitman, A. 2011. 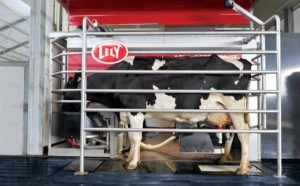 The 2010 Massachusetts Dairy Promotion Board Dairy Farm Impact Survey: A synthesis of results. Manomet Center for Conservation Sciences, Manomet, MA. Report NCI-2011-2. Whitman, A. 2017. The 2015 Massachusetts Dairy Promotion Board Dairy Farm Impact Survey Results. Manomet, Inc., Manomet, MA. Report SEP-2017-3.